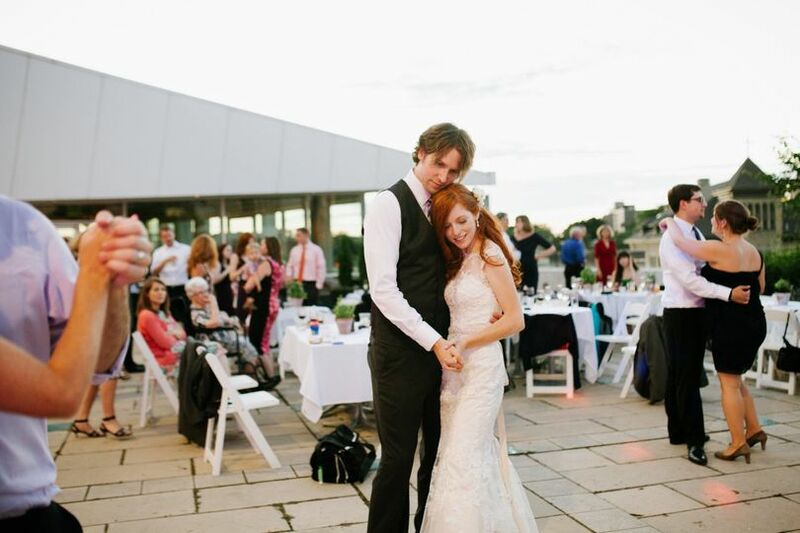 The Madison Museum of Contemporary Art is pleased to present its stunning architectural spaces for wedding ceremonies, receptions, engagement parties, rehearsal dinners, and other private event rentals. 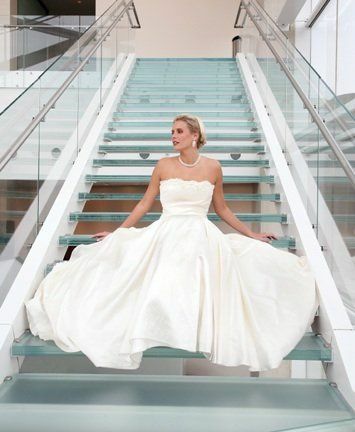 Our sophisticated spaces provide the ideal spot for couples to express their creativity, originality and style. 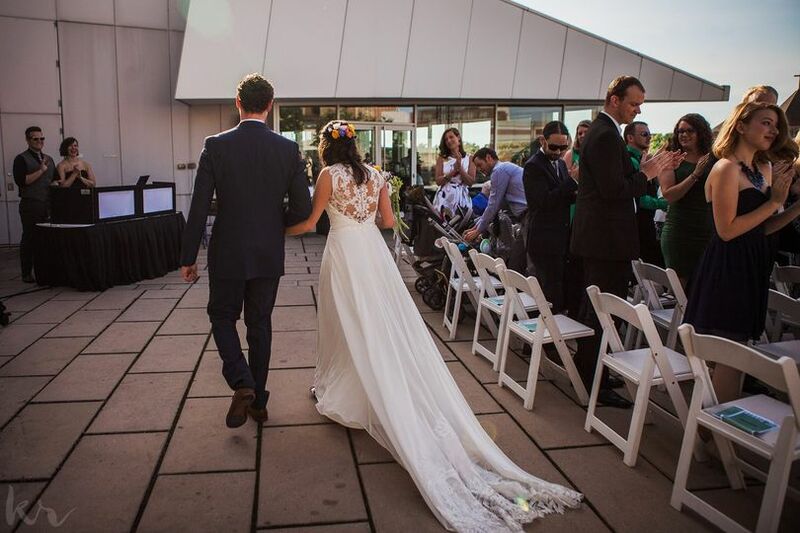 MMoCA’s Weddings Package includes all museum fees, including security staffing, custodial fees, and vendor load-in/load-out assistance. 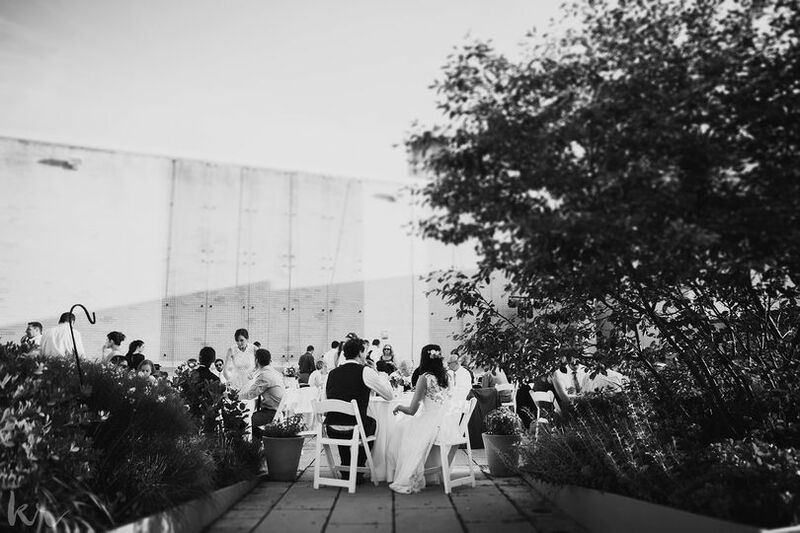 Couples are welcome to use the Rooftop Sculpture Garden, Lobby, and Lecture Hall as weather and event needs dictate. 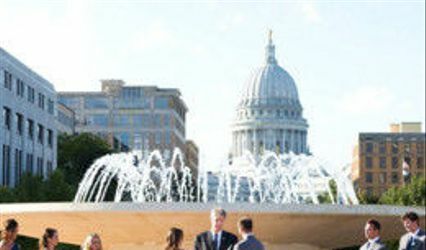 The MMoCA Rooftop Sculpture Garden offers clients the opportunity to host private, outdoor events three stories above the busy State Street pedestrian mall, featuring bird’s eye views of Madison’s vibrant downtown, colorful plantings, and large-scale outdoor sculptures. 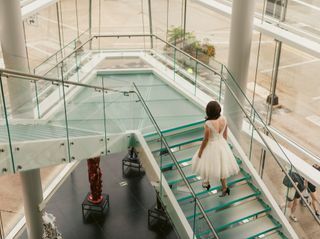 The museum’s lobby provides a prominent setting for cocktail hours and receptions, boasting black granite floors, a dramatic glass staircase, and high visibility to the sidewalk and surroundings. Located adjacent to the lobby, a 230-seat lecture hall offers couples a warm, dry space to use for wedding ceremonies during cooler months or in case of inclement weather. 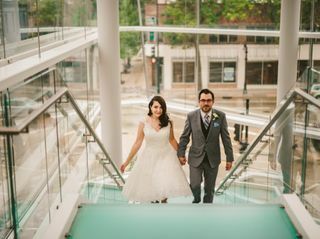 My husband and I could not be happier with our experience having our ceremony at the Museum of Contemporary Art! 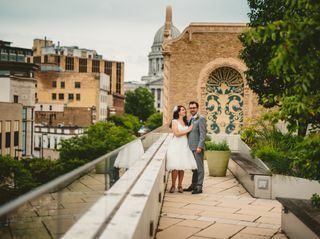 While we were lucky enough to have good weather and utilize the rooftop, the indoor backup option is also very nice and made things way less stressful as rain began to appear on the radar the week of the wedding. The staff was incredibly responsive, and answered all of our questions. 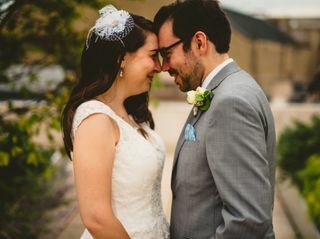 Overall, it was a very easy planning experience and we are thrilled about how everything turned out. Everything was amazing! 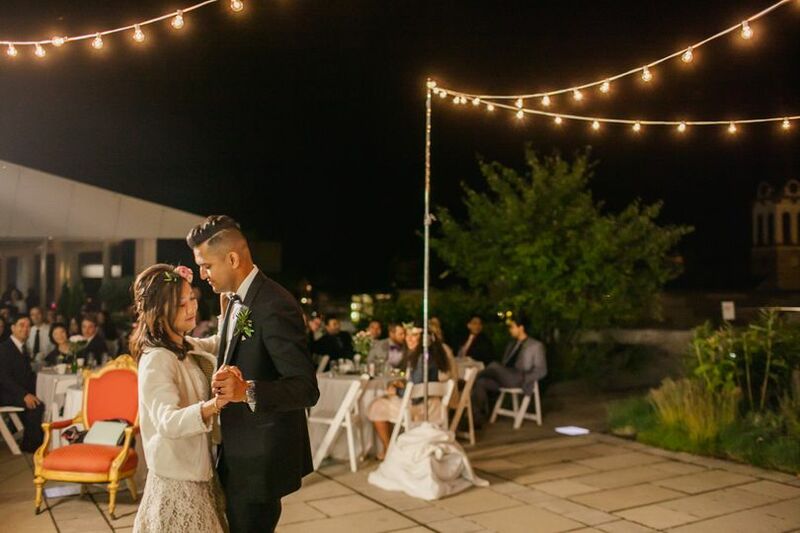 Communication was good to great throughout the planning process between Bob of MMoCA, Ali the event coordinator at Fresco, and our vendors when necessary. Pricing is extremely reasonable for what you are getting - the biggest cost is exclusive catering through Fresco, however, the presentation and coordination of the food and drink that they provide is well worth it. 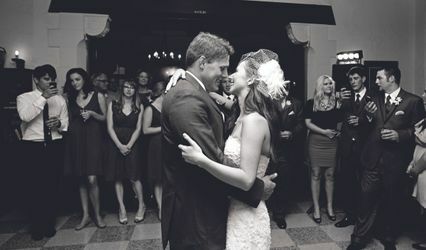 Our set up was a little crazy but the team rolled with the punches and made it feel easy for my husband and me, which was such a gift. 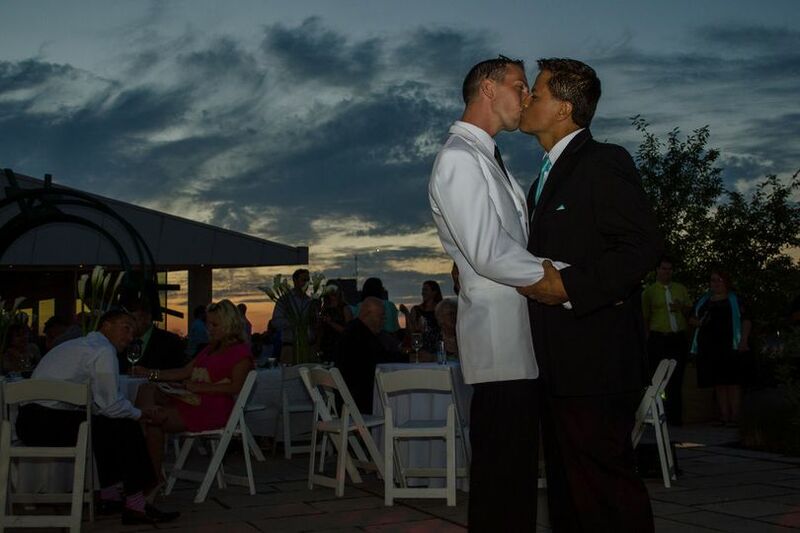 Everyone in attendance said it was the best wedding, venue, and food selection they had ever been to. The evening ran smoothly and was nicely coordinated without us having to worry about our timeline. The bartenders did a great job keeping up with the pace, recommending drinks, and keeping up with the pace of the evening. Ali made everything run so seamlessly and the transitions were flawless. 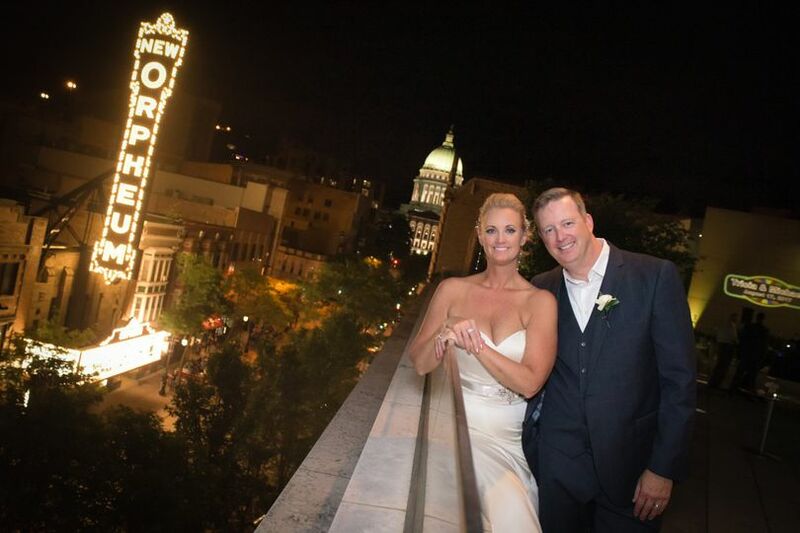 I could not be happier we had the opportunity to work with her and this venue. 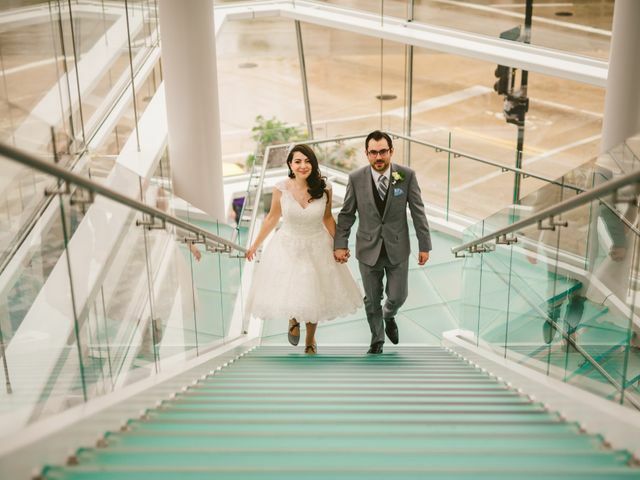 I can not overstate how wonderful it was planning and celebrating our wedding at MMoCA. Our two points of contact, Bob (from the museum) and Ali (from Fresco) were truly great to work with. Everything was smooth and easy from start to finish. 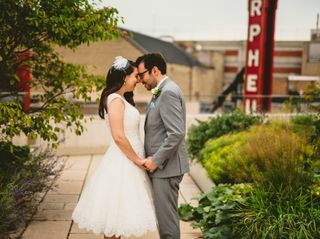 The venue was gorgeous and unique. 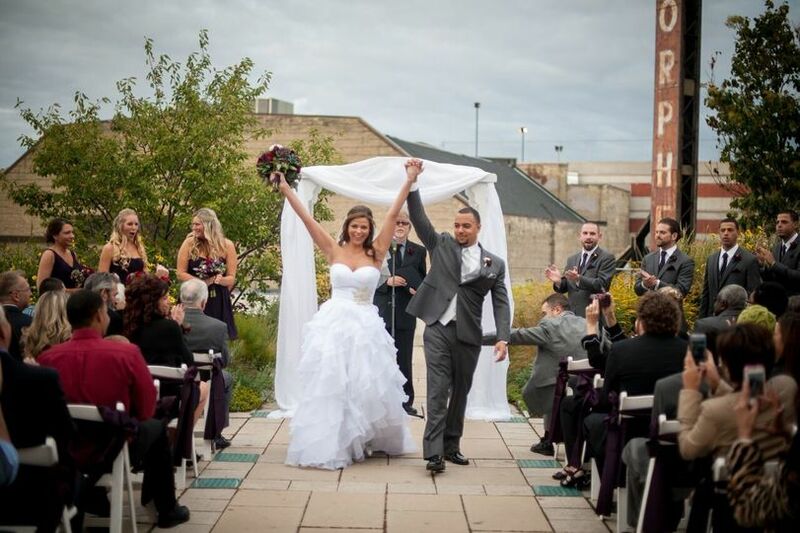 Guests loved that they could roam the galleries, too! 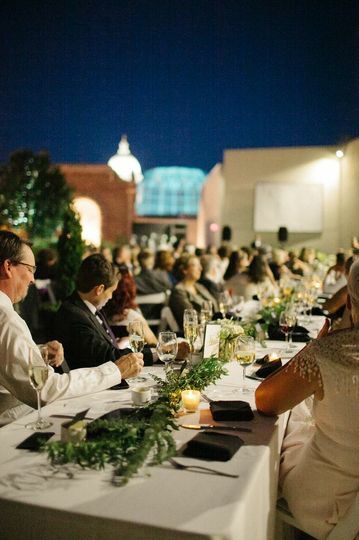 I highly recommend booking your wedding at MMoCA + Fresco!